Why It's Important for Fitness Centers to HireTrainers with "Specialized Populations Certification"
The US, in recent times, has seen an increase in population that suffers from heart diseases, obesity, diabetes, arthritis and other such longstanding health conditions. There is also a rising need for health programs that are cost effective and help in Medicare qualifications of adults. All these factors have given birth to a new branch in fitness learning called specialized populations training. The certification is usually structured in collaboration with healthcare experts and enables the fitness trainers to work with individuals with diverse fitness and health needs. These specialized trainers become distinguishable in the fitness industry by being able to scientifically design effective and safe preventive exercise programs for your fitness center members with unique needs. Trainers with Special Populations Certification are professionals who use individualized approach to educate, motivate, assess, and train their clients among the special population. These include people with chronic as well as temporary health conditions. These conditions are categorized by body systems and psychological implications and involve cardiovascular, pulmonary, metabolic, immunologic, musculoskeletal, neuromuscular, cancer as well as behavioral/psychological impairments. Special population also includes people who are not necessarily affected by disease conditions and can include women who are menopausal, pregnant or postpartum. They could also be older adults, adolescents, or children. The appealing work hours and excellent compensation have driven an increasing number of athletic trainers and physical therapists who have opted to become personal trainers. This has raised the bar as professionals in allied healthcare branches are highly qualified with extensive experience working with the special population. To hire a trainer who would meet the standards you have set for your fitness center and the expectations of your members, you need a person who has obtained the certification from a reputed institution. One of the best certifications is provided by National Strength and Conditioning Association. This is a nonprofit association that was founded in the year 1978 and is well reputed. National Academy of Sports Medicine is another reliable institution that has been churning out quality trainers since over 20 years. There are also numerous other certification programs; but, as always, conduct your own research to verify the quality of organization before hiring the certified trainer. Also, additional health care qualifications and experience can be a great advantage and provide you the added assurance that the trainer would deliver quality service. Advertising the credentials of such professionals will give your fitness center a great competitive edge! The fitness industry is sure to undergo a lot of changes in the coming years. Education is getting more priority in the field with health insurance companies focusing on preventive health through personal training. It is said that for every dollar that an insurance company spends on prevention, it saves $10. The current trend has been that insurance providers even reimburse the fitness center membership fees. As this trend picks up, the need for professionals with Specialized Populations Certification is going to increase and it would be no surprise if in the near future the certification becomes mandatory. Fitness center owners and managers should therefore aim at becoming thought leaders of the industry and hire certified trainers well before it becomes compulsory to do so. As with athletic training and physical training, people are now pushing for regulations to guide legal and professional standards for fitness training. This might soon bring more oversight by the government via national certification exams and state licensing requirements. Staying one step ahead of game is just another reasons that you should hire a trainer who has obtained the certification through a reputed institution. Having qualified trainers when standardization happens will help your business to quickly conform to these regulations and continue business as usual without skipping a beat. Learn more about Insight, a fitness center system, than can manage your personal trainers’ sessions, commissions, clients, and more! Es importante estar a la vanguardia y un paso mas. Para las personas adultas su prioridad es la salud y si en un centro de ejercicios encuentran a una persona capacitada en poblaciones especiales y en enfermedades recurrentes por su edad, seguramente se pondrán en sus manos. Please let me know if this is correct… Here at Insight, we appreciate all feedback and comments, no matter the language! Thank-you for this article. I attended a school for personal training called Fitness Institute International, Inc. The president, Dr. Anthony Abbott, MS, MSW, EdD, is and has been a well-respected leader in the industry for decades. He is a fellow of the NSCA and ACSM and has written questions for the exams. The reason I bring this up is because when I was browsing through education sources to learn to become a trainer, the info out there was confusing to say the least. I stumbled across Fitness Institute and to say the education it provided opened my eyes to the lack of awareness in the industry itself would be an understatement. Out of 360 hours filled with practical, written and hands on education, 60 of those hours were dedicated to a “Special Populations Specialist” class. Needless to say, it was quite informative. Attending this school brought to my attention how many aspects of health and fitness are unknown by the general public. It took sitting in a school to understand how many myths (harmful ones at that) exist in regard to a lifestyle designed to otherwise encourage well-being. I wrote a book, “A Simple Guide to Exercise Safety (What You Don’t Know CAN Hurt You)” as a way to educate the public about certain safety precautions they need to be aware of with their exercise programs. One of the chapters discusses Special Populations. The book is endorsed by JC Santana, MEd, CSCS and Jeff Segal, CSCS*D, NSCA-CPT*D, CPTS.. I discuss the credible methods of certification out there, including the NSCA, ACSM and University programs in addition to Fitness Institute International. Long post here – but I wanted to make you aware that this book exists and encourage you to take a look since it echoes your article. And actually, I need to edit Jeff Segal’s credentials to CSCS*D, NSCA-CPT*D, CPTS. Thank you for your informative post and adding great insight to a topic that strikes close at home for me as well. I would like to take a look at the chapter within the book you wrote about Special Populations. Because of the great response on this post alone, I am diving into the subject matter more and will hopefully have another article or two on this topic posted soon. The more information out there the better. I commend you for passing your knowledge forward with your book. I went ahead and edited Jeff Segal’s credentials in your original post as well. Thanks again! I’d be happy to send you the chapter on Special Populations. It’s general knowledge for the reader – helping to explain why it’s important to understand whether or not they fit into this category and why it matters when it comes to their exercise program. Just tell me where to send it and please let me know what you think. Awesome and very generous of you. I would greatly appreciate that! Please send it to Insight’s office located at 8022 South Rainbow Blvd. #260, Las Vegas, NV 89139. Or if you are looking for an email address, then please send it to [email protected]. Hey Lawrence. Read yr article/blog on the “fitness Industry” topic! VERY INFORMATIVE!! :() AND, I thought Dana’s responses were just as insightful & informative!! Very thorough!! It’s a bit more than my knowledge base; the “business & marketing aspect! Tho, learning & educating abt what I DON’T YET KNOW is a “drive that I strive” 4!! :() I still hv 2 get busier/pro-active on working 2wards “updating/editing” my profile…my skills, education, A PIC….lol!! I’m unable 2 do all that from my basic “Android” phone! Will need 2 get on my Actual Computer! ….”IN HIM”….Barbarajean :() And yes, yr SO RIGHT, the “fitness industry” HAS & IS changing rapidly! …..oops, “those were meant 2 be “Smiley” faces!! :))))) LOL!! Thank you Barbarjean for visiting the blog! I do hope this information encourages people, no matter their age, or health condition, to get moving – no matter how slow at first. Regardless, the fitness industry is not going away and will only get better with time! Hi Lawrence, I sent it. I agree that the certifications mentioned in this article are very rigorous, but it neglects to mention the ACSM Certified Inclusive Fitness Trainer certification. It prepares trainers to work with people with disabilities, chronic illnesses, and injuries and is at once extremely broad and specific. I just wanted to update you that I had posted an article about Certified Inclusive Fitness Trainer Certifications today! Thanks for inspiring it! Thank you for your feedback and pointing out that additional certification. I will be looking more into it! Pushing beyond the standard ‘i’m a trainer’ envelope is hugely important. 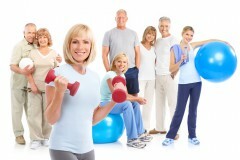 Where I work, we focus primarily on helping people from 40 to 80 years old lose weight. We do a lot of things, but that’s our specialty. And it takes a LOT of skill and training and experience to do that properly in a personal training situation. You’re so cool! I do not suppose I have read through anything like that before. Thank you for the comment and I am happy you are enjoying our blog. Have a great day! Howdy! This blog post couldn’t be written much better! I’m send this article too a fellow gym owner. Fairly certain he’ll have a great read. Thanks for the feedback and for sharing the article! to ask if you don’t mind. I was curious to find out how you center yourself and clear your thoughts before writing. Often I do a 5-10 minute meditation before I start writing which always makes the writing process flow much easier. Hope that helped. I am truly enjoy your posts which carry tons of valuable information, thanks for providing these statistics. Thank you for your comment and I’m happy the articles are helpful. Thank you for the compliment, it’s nice to know our blog is helpful. I appreciate the comment, thanks!